I have just submitted my final report on MUFON Case #XXXXX, and it's a weird one. Not only does it have a potential "missing time" element, it has a genuine "soda pop factor." If you've been reading this blog for a while, you may have seen my previous posts on the soda pop factor, beginning with this one. A soda pop factor is a detail in a UFO report that doesn't seem to belong. It doesn't seem to belong because it's a reference to fairly mundane observation embedded in the high strangeness of a UFO sighting... Like a visiting alien telling his human contactee that he's thirsty, and the human contactee offering the alien a bottle of orange soda pop. 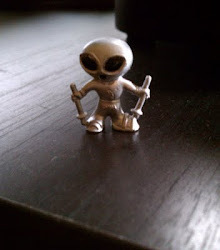 I can now say unequivocally that he has not started to recover memories of nocturnal visitations on non-human entities, and I have stated that fact in my report. 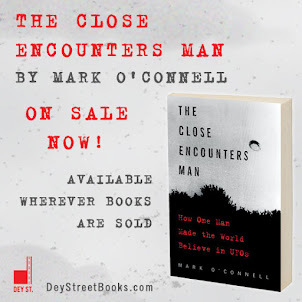 He has, however, added some interesting twists to his account of the sighting. The witness, who I'll call Cxxxx, noticed a bright, stationary light in the sky at dusk. Sounds pretty normal, but it struck him as funny, because it looked like a very bright star or planet, but there was nothing else in the darkening sky. He checked it against Google Star Maps, but Google confirmed his suspicion that there shouldn't have been anything in the sky... anything normal, that is. Then things got weird. He reported the sighting to MUFON and said it took place on November 21st. But when he checked later with his HR department at work, they said he had actually called in sick on October 31st. The guy was off by three weeks. There's more oddness. His girlfriend confirmed for me that he had called her about the light in the sky, and she confirms that she was in New York City at the time, hepling her sister deal with Hurricane Sandy. But she distinctly remembered him calling her urgently three times that night, and he only remembers calling her once. 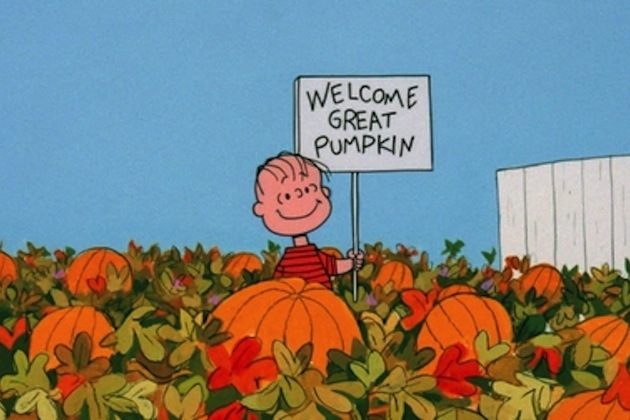 When you think about it, Linus watching the sky for the Great Pumpkin is not all that different than Cxxxx watching the sky for his UFO. Weird. That to me is the soda pop factor... It really struck me that he mentioned "It's the Great Pumpkin, Charlie Brown" as part of his UFO report. So odd, so random... and yet I found it very compelling because it was so odd and so random.